To continue the legacy of Z800 Kawasaki had to put all heads together because given the fact that Z800 was sold like hot cakes with affordable price so much so that rumors were rift that Kawasaki will assemble the Z800 locally to reduce the cost by 30%, increasing their sales graph.When Kawasaki had planned to discontinue Z800.Kawasaki team had mammoth task ahead to live the expectations which Z800 had set.Today we will see if Z900 the new introduction will keep the expectations or will surpass it.Z900 tests were carried out on busy road of Bombay Sappers,Pune,India which does have flowing traffic. New Z900 engine is powered with 948cc in line four which makes 123.6bhp of peak power at 9500 rpm.Refinement of this new engine is beyond on both lower and higher gears.Exhaust note is filled with base which doesn’t imitate the Z800 exhaust but sounds like a very good growl.Performance of Z900 on lower gears is again elegant with no questions arising.You wont feel any vibrations or knocking at any revs this is because the motor of Z900 which has secondary balancer. Z900 also gets slipper clutch which helps the engine while their is excessive braking. With 948 cc engine the heat management of bike is very well taken care and you wont feel the heat of the bike bothering you in traffic as well. Best part is 6th gear can pull from as low as 30 kmph. 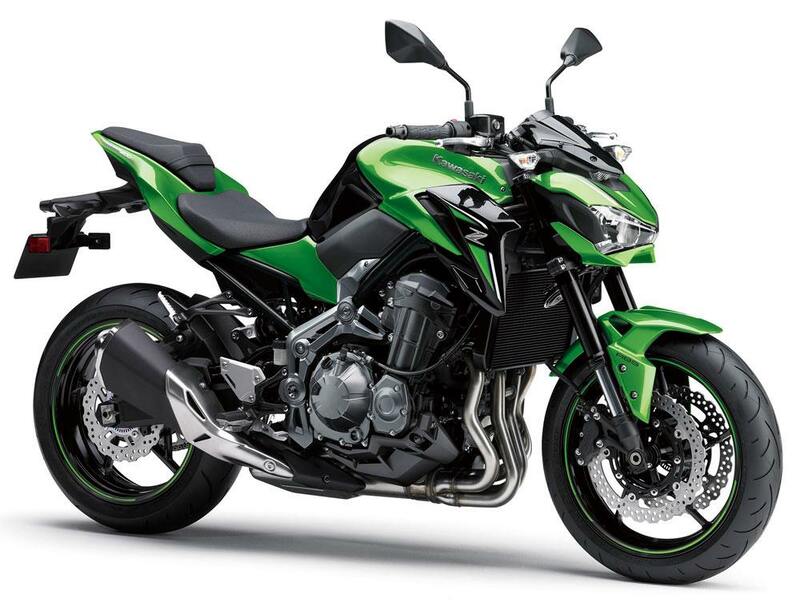 Compared to Z800,Z900 sheds weight by 20 kgs straight which comes out to be 208 kgs. Now that being said this bike is not light but is very crisp and sticks in line at corners.When you cross 4000 rpm Z900 enters into all new dimension where it pulls and pulls giving rider an adrenaline rush without any effort. Inspired by Sugomy styling Z900 gets new exhaust design,new tail section as well as all new bikini fairing.New headlight which looks like it splits in two different halves is bit tapering in front and looks aggressive giving a versatile look to Z900.Speedo is similar to that of Ninja 650 and Z650 which is semi circular and fits very well with other components of Z900 and looks niche. Key slot is placed at the right front of the tank.Tank looks similar to elder siblings like Ninja zx10 r and 1000 rr. Seat is wide and has height of 195 mm which makes even a short rider comfortable while driving.Ground clearance is 130mm which is very good. 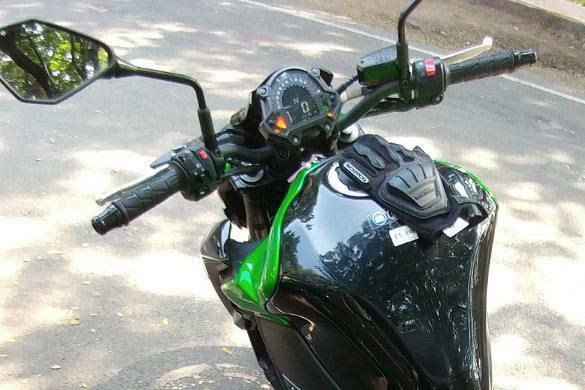 In terms of electronic aids,Z900 is old school bike which does not have traction control,riding modes or ride by wire technology.As their is no traction things might get dangerous while driving at high speeds but Z900 has got excellent braking system which gives confident to rider .Also ABS makes sure that bike doesnt loose any control. Priced at around 7.68 lakhs ex showroom and 9.96 lakhs on road in Pune this bike has an mileage of 17 kmpl on busy streets with 17 litres of tank which effectively will continue your commute till 255 kms ,again this isn’t bad. Overall new Z900 packs all the punch and is well suited to intermediate as well as experienced riders and if you are looking to buy there should not be any hesitation. Why motorcycle gear is important?